Eternal Guitars offer a range of standard, custom or totally bespoke authentically aged, ‘relic’ electric guitars. Each model is either a very close replica of a classic design or a modified version which incorporates certain non-standard features. Built in Britain using the highest quality components and fitted with the best hardware available, handmade pickups and genuine nitrocellulose lacquer. 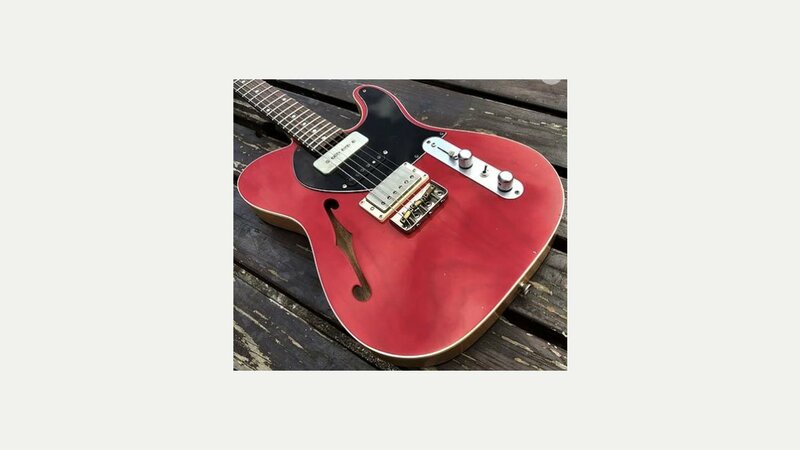 All of the guitars are built and set-up by Dave Walsh and offer a unique chance to own an instrument that looks, feels and sounds like the classic bolt-on and set-neck guitars from the 1950s up to the 1970s – but at a fraction of the cost of the real thing. Dave works from a small one man workshop and everything from sourcing or hand-making premium alder or ash bodies and solid maple necks to finish work, final assembly and professional set-up is handled by him alone. The bodies are fine sanded and the shape modified (if required) to accurately match the model that it is being used for. The necks are also supplied raw and unfinished or handmade.